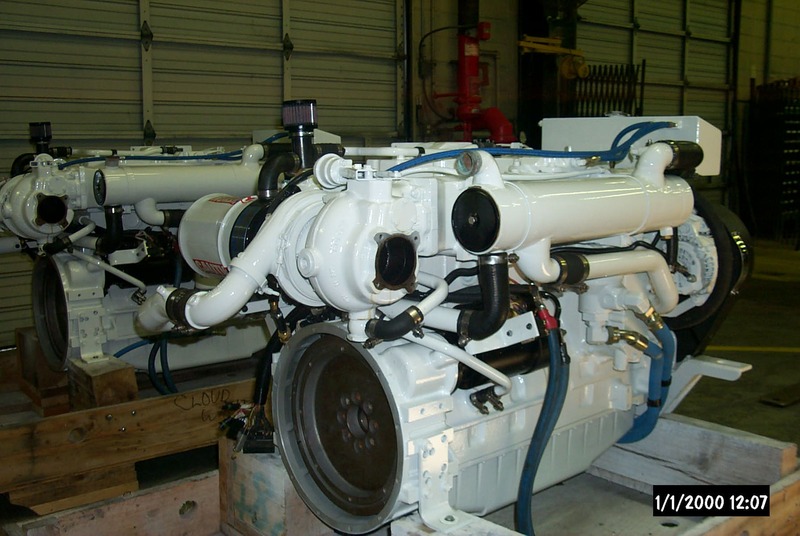 As you predicted after the re-calibration engines are working like magic.” Those words came from a very happy boater who, despite Cummins resistance, and my help, had a simple fix successfully applied to his engines. It´s rare that a small, simple, relatively inexpensive engine fix can produce such emotion BUT if you own or operate a Cummins C-series 480CE engine then perhaps you too could experience this same magic. If your 480CE operates on any ECM Code (non C-Cruise) other than Y90011.00 (or .01), or any ECM Code (C-Cruise) other than Y90012.00 (or .01) then you may be missing out on this magic performance improving fix. After someone on boatdiesel.com helped me solve a dangerous and frustration problem with my 480CE I helped (off this forum) another boater overcome Cummins resistance to have the same fix applied to his 480CE engines. I expect that boater will soon, after he´s firmly determined the fix is working well for him, report on this forum the full details of his 480CE engine problems, his frustration with getting Cummins to come up with a fix, and the simple magic fix that produced his emotive comment. In fairness to Cummins the 480CE engine was produced quite some years ago, when Cummins realized there were “numerous complaints of idle instability (stumble/stall) in vessels equipped with the 480CE engines” (those are Cummins words) they came out, in 2004, with a “Service Calibration”, Y90011.00 and Y90012.00. Six years later not many Cummins people are, understandably, aware of this fix. Also when a Cummins Tech. sees the problem symptoms he is inclined to look for a mechanical fix, like a governor, or a fuel pump, or injectors, all expensive and complicated fixes, not thinking the problem could be a simple engine computer glitch. Also if that Tech. were to look for an ECM recalibration he might be inclined to believe that if the problem engine had an ECM Code of say Y90009.02 then the only available recalibration is Y90009.03 or Y90009.04 (that´s what happened in my case). In fact there are about sixteen ECM calibrations that can be applied to the 480CE engine, the latest being Y90011.01 (non C-Cruise) and Y90012.01 (C-Cruise). 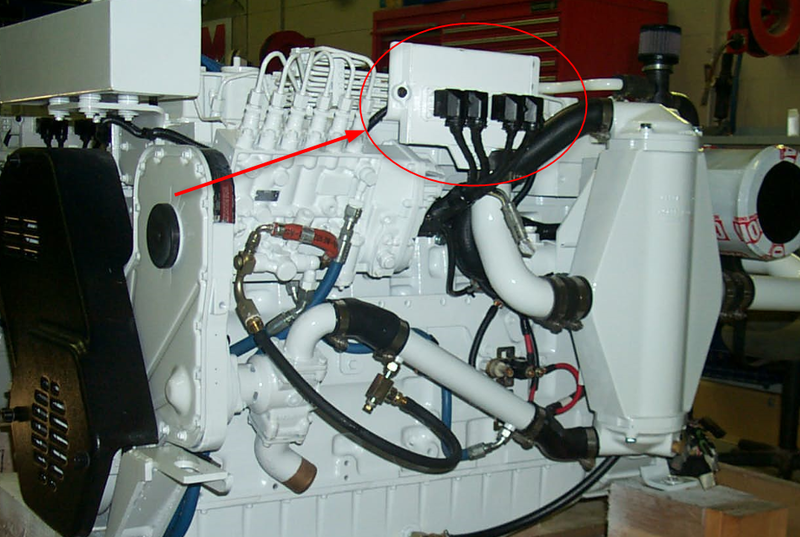 I am convinced there are many boaters out there, with the 480CE engine(s) who are either putting up with the stall/stumble problem, or who have spent a lot of money having Cummins apply unproductive fixes to a problem that can be solved simply, quickly, and inexpensively, with a magic fix. I personally know someone who spent around $15,000 on this problem, without a solution. I hope forum members will forgive me for pushing this matter with such emotion, the reason I do this is that I would like to repay another forum member who helped me overcome this problem on my 480CE engine, and because I am sure there are many 480CE owners out there with the same (perhaps developing) problem. Two cautions: If the ECM recalibration is done via the diagnostic plug then it should be done via J1708, not via J1939, and the ECM recalibration will wipe all your engine history, including engine hours and fuel use (those will be set back to zero).